Mutant Football League has just released for PC through Steam Early Access in what essentially acts as a paid open beta period. The game is being sold for $25 as improvements and additions continue to be made leading up to its official release which will occur in approximately a month. 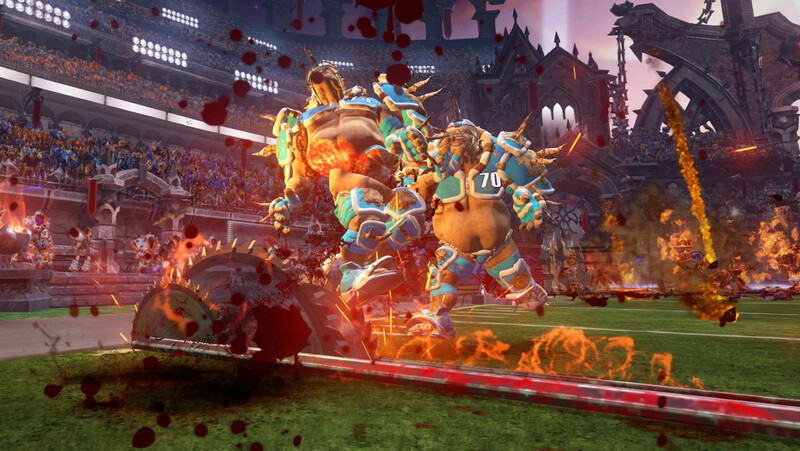 Mutant Football League be coming to consoles in early 2018. “The full version will be very similar to the Early Access version but with on-going art enhancements and improved gameplay. Most importantly we will be improving the A.I. logic, updating team rosters and tuning and balancing the game with your help and support. We need you to help make MFL amazing. The game is fully playable and near final, but it is still in a Beta state. With your help, we’d like to tighten it up, and make it even more fun! Currently, you can select teams and play against your friends online, locally or an A.I. opponent. The game is most enjoyable when playing against friends. The spiritual successor to the 1993 game Mutant League Football is being developed by its original creator and lead designer. After failing at a first crowdfunding attempt, Michael Mendheim went back to the drawing board and made some major adjustments that helped it soar past its initial goal in a second go-round and hit a number of its stretch goals in the process.